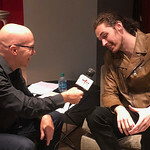 Andrew Hozier-Byrne, who records as Hozier, is friendly and unassuming in person. I met him on a Friday afternoon in September in the photograph-lined offices of Columbia Records on Madison Avenue following a busy week in which the 28-year-old Irishman performed three sold-out shows at the Beacon Theatre and also enjoyed seeing Springsteen on Broadway. 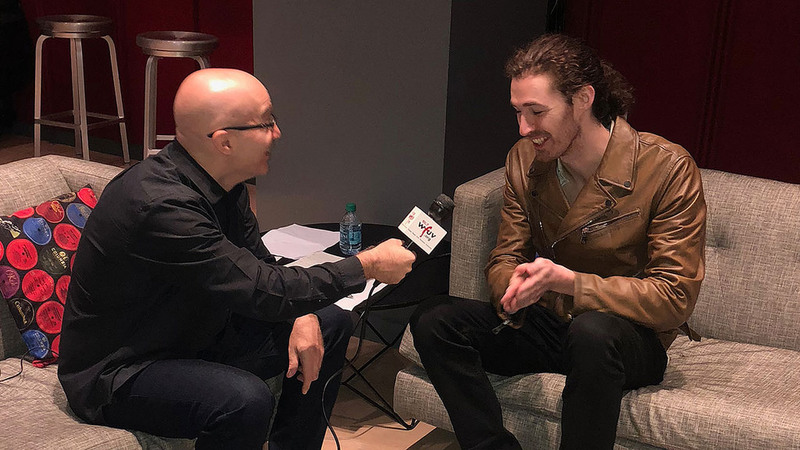 As we chatted, it was plain that Hozier takes himself lightly, but he's serious about his opportunity to reach people. Despite the smashing success of his eponymous debut album four years ago, he seems to have a healthy suspicion of the kind of celebrity industry that can envelop successful musicians. While he prepares a new album, due out early next year, he has released an EP called Nina Cried Power. 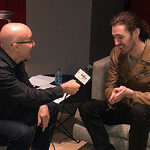 In this session, you'll hear three of its four songs with Hozier's commentary on each. He discussed his collaboration with Mavis Staples and Booker T. Jones and that dialogue led us into his musical education — mostly via his dad — built on records on the Stax and Chess labels. He also spoke about the religious imagery on his breakthrough song, "Take Me To Church," as well as newer tunes, like "Moments Silence (Common Tongue)." I also learned about his approach to writing a timely song for this charged political moment, in the spirit of Nina Simone and other immortal singers of protest songs whom he namechecks on the EP's title track.